Here you will find ways to support the Library and the progress of the building. How can I support my new library? The ground has been broken and our new community library is going up. I would love to participate, but what can I do? How about purchasing a commemorative brick or block? A block can be purchased for $1,000 to be used in the retaining wall along a path on the Northeast side of the new library. Donations for a retaining wall block will not only offset the cost of the retaining block and its installation but will afford you the opportunity to honor or remember a loved one, show support for your community, or advertise your business or organization. The blocks will be formed with an inset to hold an 8×10 brass plaque that can be engraved with your name, logo, or other information. There are also a limited number of ‘capstone’ blocks available for $2,000. A brick can be purchased for $50 for a 4×8 or $100 for a 8×8 brick. Paving bricks will be placed in front of the library building and will be highly visible to everyone using the library. With the purchase of a personalized, engraved brick, your pride and support of this project and the community will be permanently displayed. 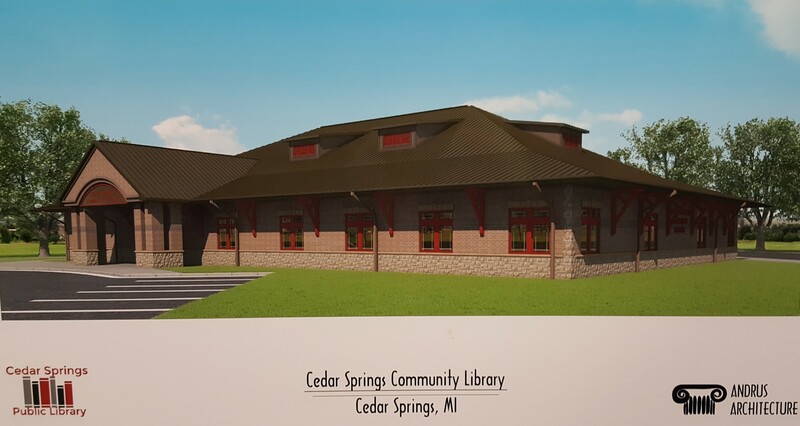 Forms for both blocks and bricks are available below and at the Cedar Springs Public Library during library hours. 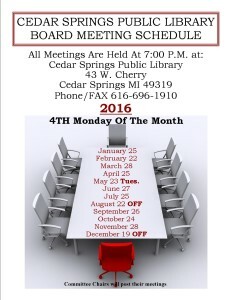 They are also available at Cedar Springs City Hall and Solon Township Hall. Block Click HERE for the form. Personalized Engraved Brick. Click HERE for the form. Construction has begun. If you would like to see photos click on Photo Gallery above.